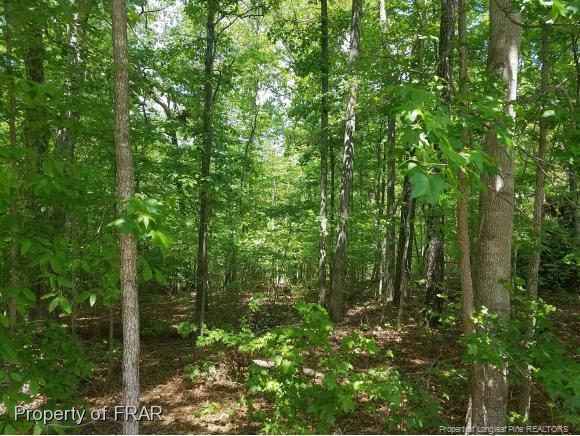 Beautiful, heavily treed, gently sloping .55 acre building lot in Woodfield subdivision in beautiful Carolina Trace! All underground utilities at site ready to hook up. Walking distance to community pool and tennis court. Build your home and enjoy the 315 acre lake; Country Club with two 18-hole golf courses; Olympic size pool and Har-Tru Tennis courts. Easy commute to Raleigh and Fayetteville.